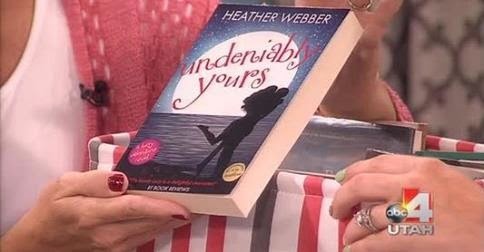 Recently, UNDENIABLY YOURS, the most recent Lucy Valentine novel, was featured on a TV segment in Utah, thanks to the lovely Alicia Cunningham. It was so cool to see the book on TV, but Alicia's kind words pushed the happy factor over the top. She called my books "Perfection in paperback." I personally think that's tattoo worthy. Okay, since I'm not a tattoo person, maybe I'll have a sign made. A banner for my office? Hop over and take a peek at the segment. Alicia has lots of great recommendations (not just mine! ).